Enjoy mountain living and still be within minutes of Denver metro amenities. Finally! A cute 2 bed, 2 bath home is located on a very private lot in the highly desirable Indian Hills!! The updated kitchen with stainless steel appliances, dining room, living room, Â½ bath and inviting covered deck are on the upper level. The lower level consists of 2 bedrooms, full Jack-N-Jill bath, bonus room, mud room and garage access. Enjoy the outdoors while spending time on the large covered deck that extends the living area in the summer; you can pull down the canvas side covers for enjoyment all year. This property shows pride of ownership and will win you over before seeing the inside. 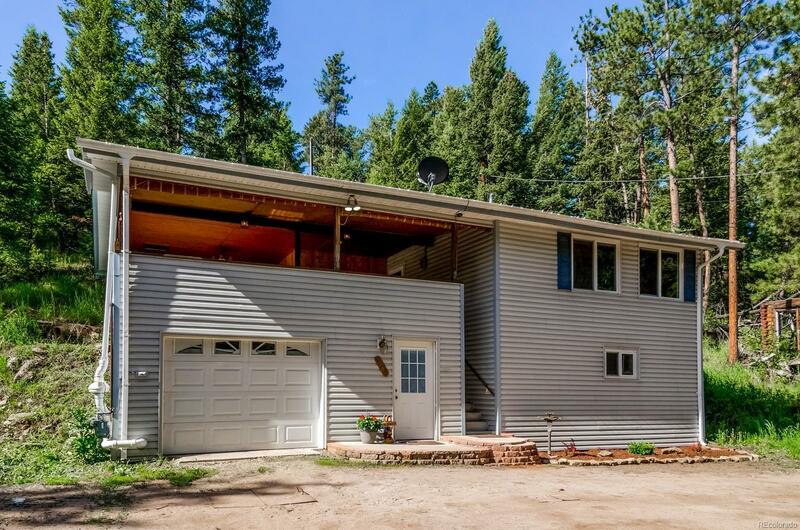 There is an over-sized long 1-car garage and plenty of parking in the driveway. Close to restaurants, hiking and mountain bike trails, community center, Parmalee Elementary and other local amenities.